For my boyfriend’s birthday I decided I would make him a shirt. 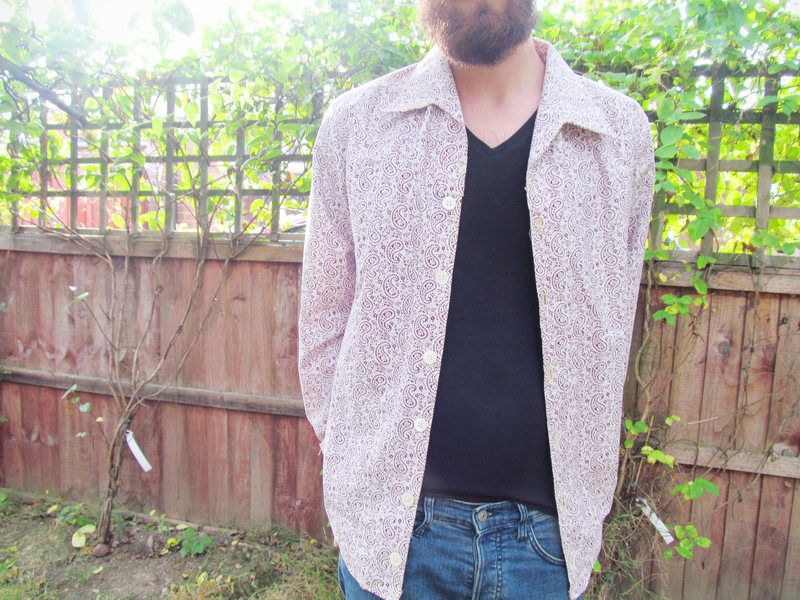 I hadn’t made clothes from scratch in years, and this way I could pick a fabric that I knew he would love. It wasn’t until I had bought all the supplies that it was pointed out to me that sewing a shirt from scratch is not exactly beginner-friendly. This project took me a really long time, but it was worth it! I learnt a lot along the way, I feel much more confident about making more of my own clothes, and I got to give James a piece of clothing that (hopefully) will last him forever. I used this pattern and this fabric. 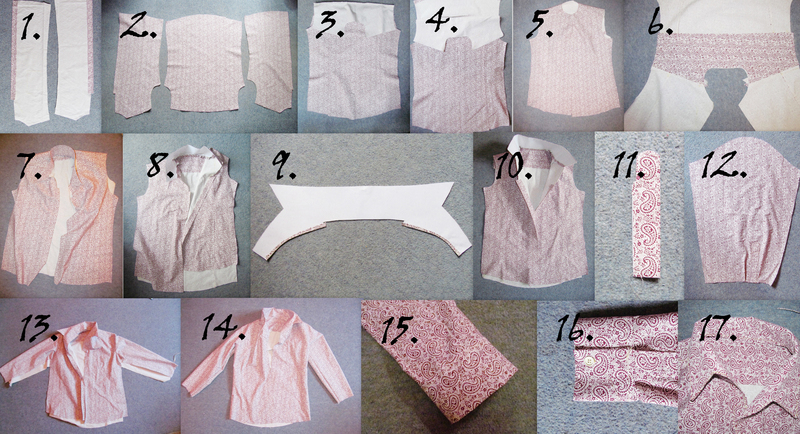 To begin, I cut out all the pattern pieces. I then pinned them to the fabric, cut out my fabric pieces and used a tracing wheel to copy the pattern marks onto the wrong sides of my fabric pieces. I cut out the interfacing and ironed it onto the relevant fabric pieces. 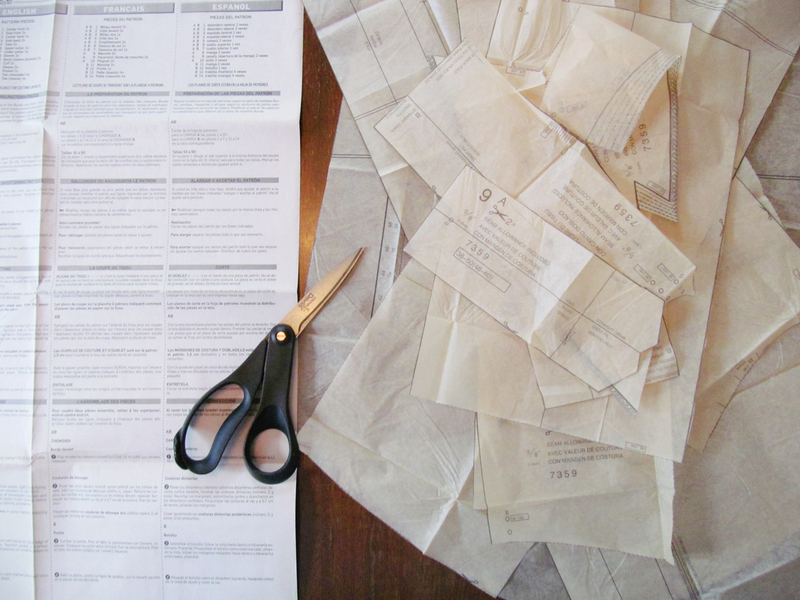 Then I followed the steps on the pattern instructions to sew the fabric pieces together. Each step involved pinning the fabric together, basting it together, sewing it together, removing the basting, trimming and finishing the fabric allowances and ironing the seams to one side. Phew! 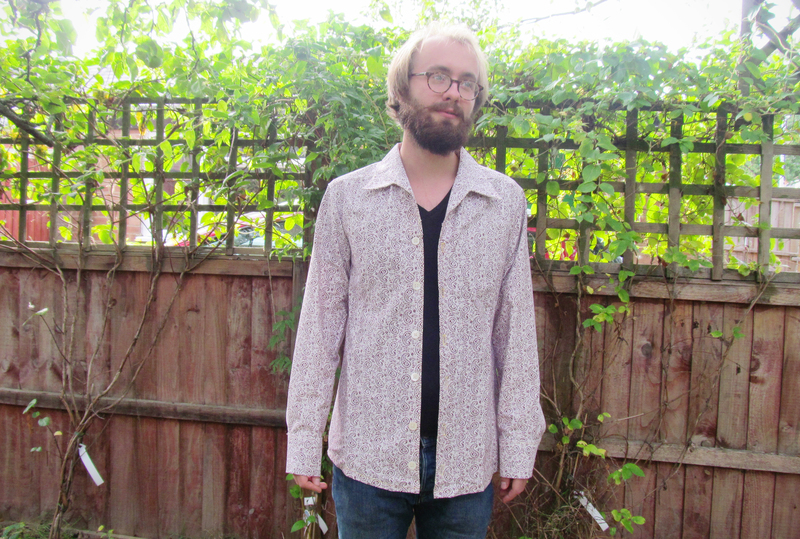 I had a lot of trouble attaching the collar – the instructions weren’t at all clear – but I worked it out in the end. If anyone does use this pattern and has the same problem as me, send me an email and I’ll be glad to help! And then it was finished! I’m so proud of this shirt, and I can’t wait to continue sewing. I hope you’re having a good monday! Do you ever make clothes from scratch? That’s very impressive! I cannot even imagine making such a thing–I’ve tried to make clothes and just don’t seem to have the patience. Wow, that’s so awesome! I love that it’s a special, one-of-a-kind gift that by its nature, has your affection all wrapped up in it:) Great job! It looks great – what a great gift!! I’ve been feeling the itch to start sewing again but I want to start with something easy. 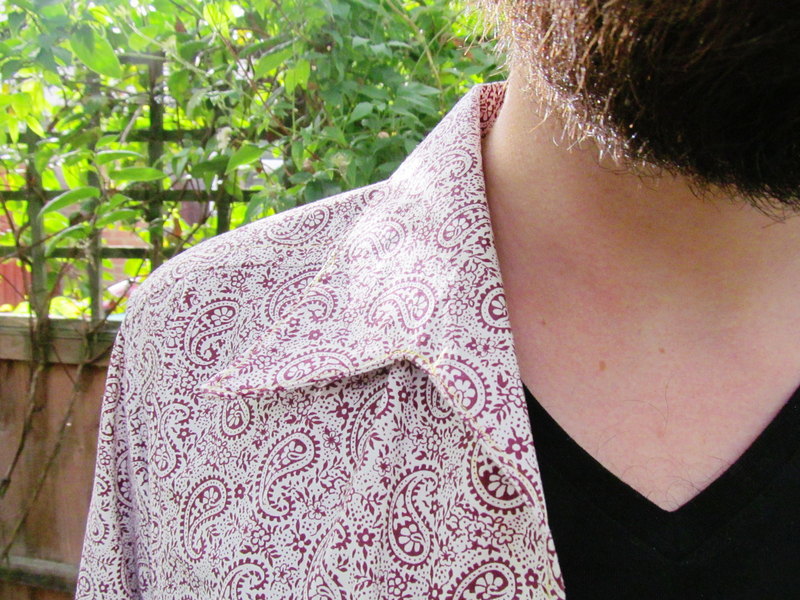 Collars are so tricky – also, I avoid things with too many buttonholes so way to go! What a wonderful and loving idea for a gift! 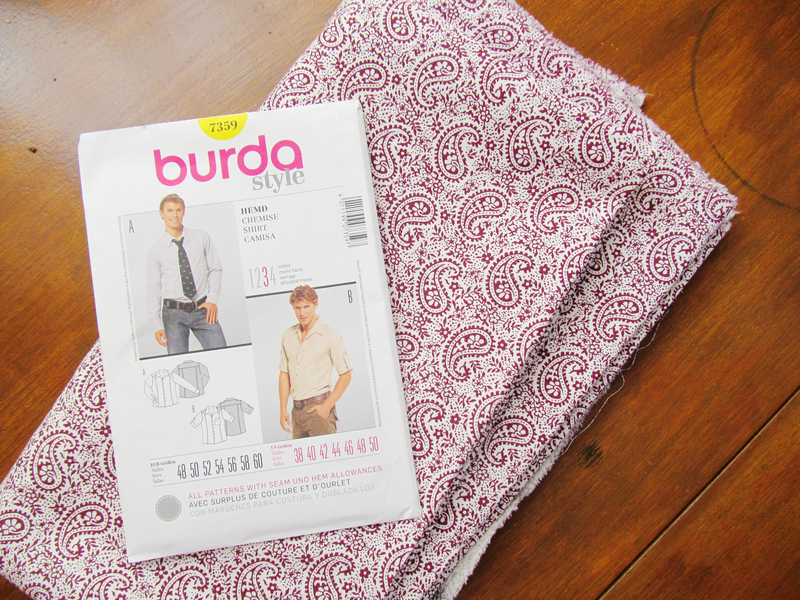 Burda patterns are the best! Lovely fabric & great sewing – congratulations! Thanks for visiting me blog, too! Oooh, it turned out great! Good work! I’m pretty skilled at sewing now, but when I started I was a mess! 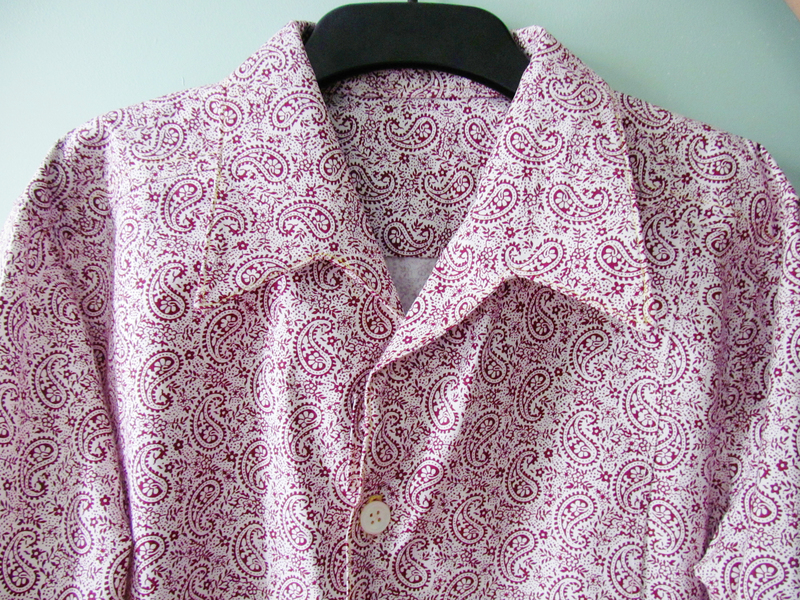 My first men’s shirt was a nightmare! Wow, that looks super! If I would have your sewing skills, I would be so happy. Awesome birthday gift you did a good job. 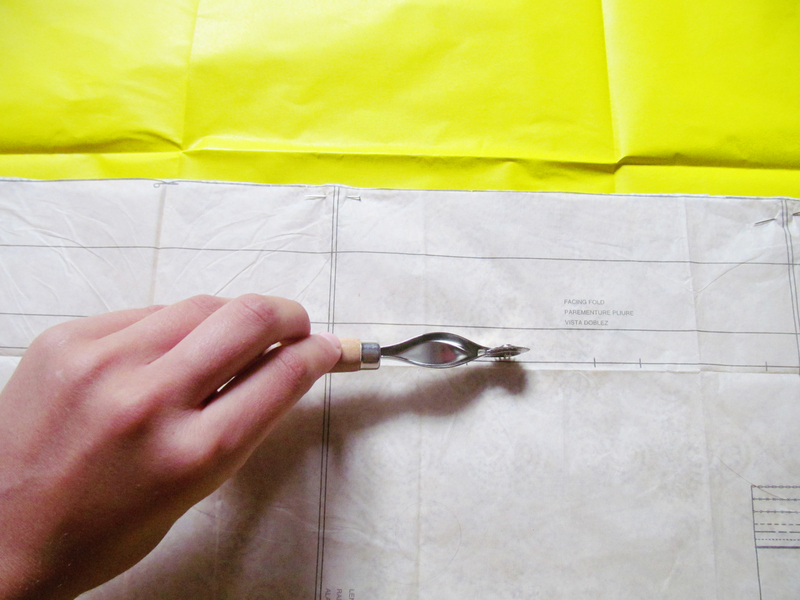 And very perfect cutting. Wow, you did a seriously great job! I can’ believe you’ve made that yourself! I’ve actually started my first sewing project using a cut out pattern today and it’s only a simple top and already causing me hassle, so I can’t imagine tackling a shirt!